Ellen Thesleff was a Finnish Artist with a feeling for lyricism. 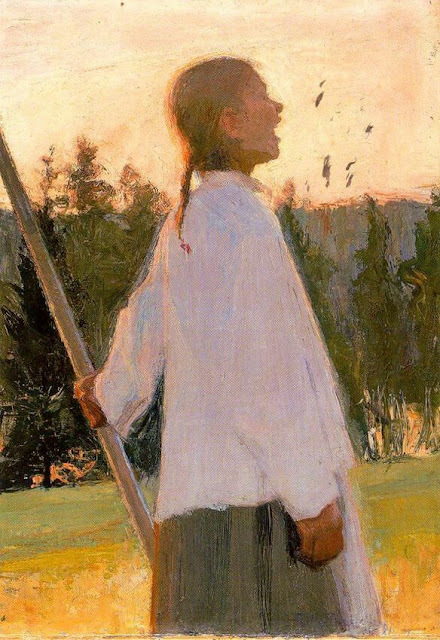 Her painting "The Echo" shows a young woman calling out in the morning or evening. 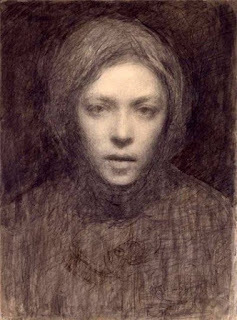 Because the tones of her shirt are treated simply, the artist keeps the emphasis on the head, which is surrounded and infused with warm light. Thesleff studied in Paris at Académie Colarossi. 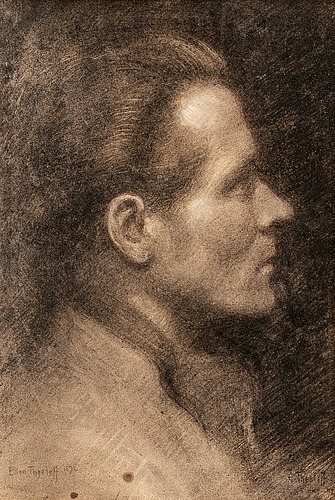 Her portraits (self-portrait above) evoke the atmospheric lighting and edges reminiscent of Eugène Carrière. 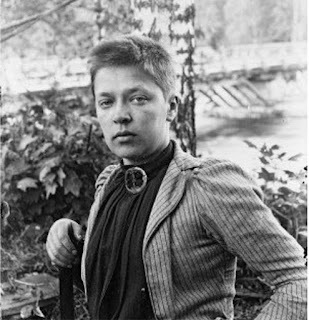 The photo of her is from 1890. Thesleff is featured in a new book Women Artists in Paris, 1850-1900 from Yale University Press. Here's a preview of the book (Link to video) and it's available on Amazon. The Clark Art Institute, Williamstown, Massachusetts (June 9–September 3, 2018).